Apache Maven is a software project management and comprehension tool. This is developing under Apache Foundation. 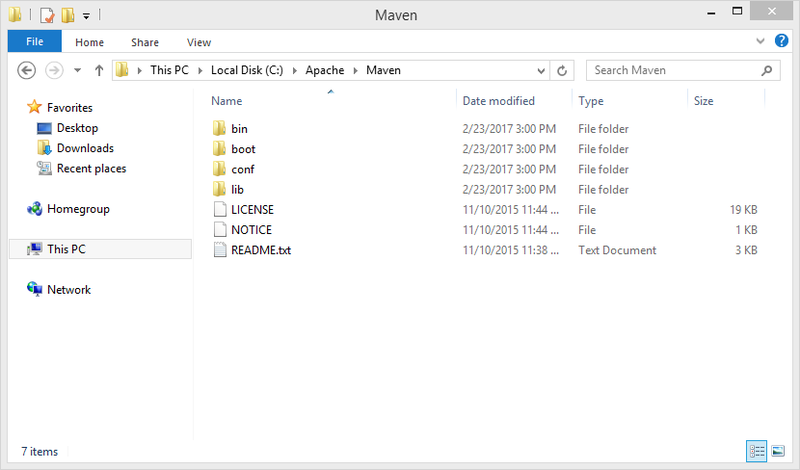 This tutorial will help you to install Apache Maven on Windows system. Apache Maven required Java Development Kit (JDK) to be installed on the system. Apache Maven 3.3 requires JDK 1.7 or above to execute. So make sure your server fulfill requirements before installing Apache maven. To download the latest version of Apache Maven, Visit its official website download page. At the writing time of this tutorial, Apache Maven 3.3.9 is the latest version available. 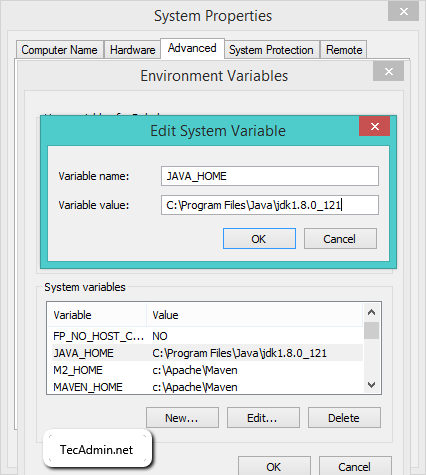 Make sure you have set JAVA_HOME environment variable. If not already set, add this under system environment variables. To open system properties type sysdm.cpl from run window. 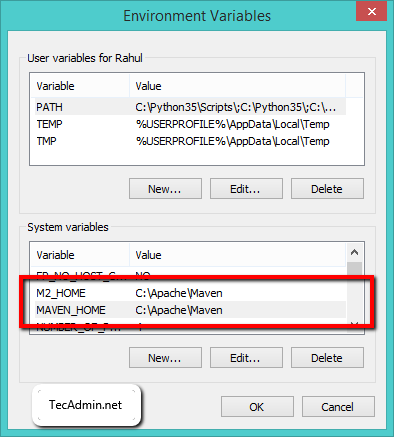 Apache Maven required MAVEN_HOME and M2_HOME environment variable to set. 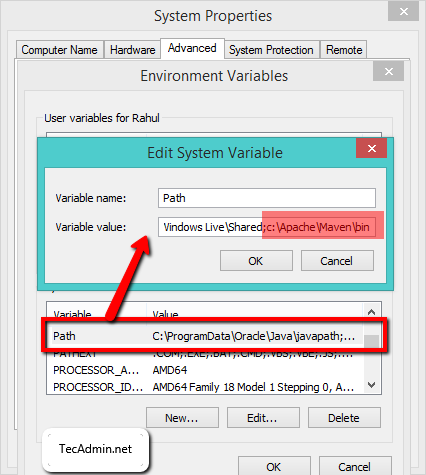 You also need to add Apache maven bin location under systems PATH environment variable. Also appened ;c:\Apache\Maven\bin under Path environment variable. Finally, You have successfully installed Apache Maven on your Windows system. Now open a command prompt and run mvn –version command to verify installation and installed version.